ASHFORD, Ala. — When trucks aren’t rolling, companies lose revenue, and no one knows that better than Taylor White, vice president of Alabama Motor Express in Ashford, Alabama. The family-owned business Alabama Motor Express started off with only a few trucks, but the company has grown and now the fleet includes 240 trucks, with 70 percent being Volvos. “I’ve been around the company my whole life, and there were times when we were 100 percent Volvo and times when we were 40 percent Volvo. But if somebody asked me for the most dependable truck, I would definitely say, hands-down, Volvo,” says Taylor White, vice president of Alabama Motor Express. AMX was founded in 1988 by president and CEO Scott White, and he runs the business with his two sons, Taylor White and Collins White, who share the role of vice president. The company has 310 employees, including 240 drivers and 12 maintenance personnel. The dry van carrier specializes in moving freight between distribution centers for Fortune 500 companies. The average long haul is 900 miles. The majority of the fleet is comprised of Volvo 670 (VNL 670) standard sleepers with 13-liter (D13) engines and automated transmissions. AMX operates on a three-year trade cycle, and no truck in the fleet has more than 400,000 miles on the odometer. Taylor White says he appreciates the brand’s quality, but now he has an additional reason to choose Volvo: The new, 123,000-square-foot Uptime Center, located at the Volvo headquarters in Greensboro, North Carolina, is saving time and money at AMX and is even improving driver retention rates. Still, there are occasional mechanical issues, and Taylor White says the company uses the Uptime Center daily. A recent incident reminded him of how much he relies upon the service and the important role it plays in AMX operations. 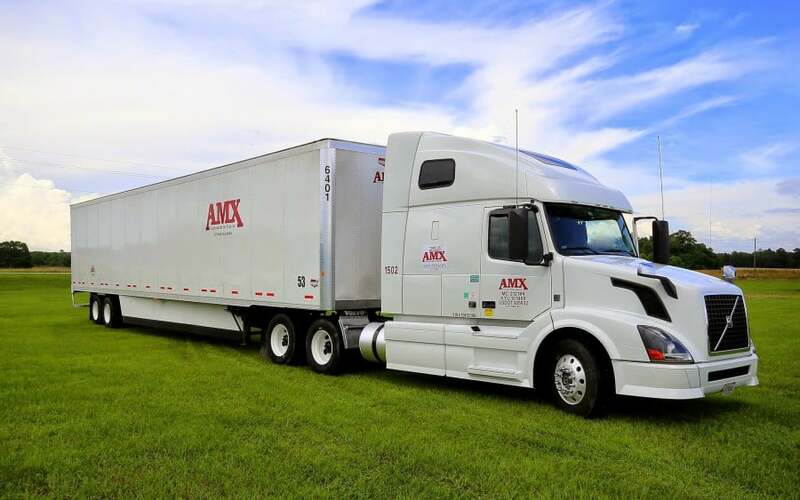 A driver was out on a long haul when his truck signaled a transmission problem, immediately sending an email to AMX and triggering a case number with the Uptime team. A Volvo Service Agent noted his location and called the nearest dealer for the necessary part, but it was on backorder and would take a week to obtain. The agent tried again and found a dealer 10 miles away that had the part in stock. Within a few hours, the driver was back on the road. When downtime creeps up, drivers look elsewhere for jobs to support their families, but AMX currently has a 5 to 10 percent turnover rate. Volvo Action Service agents are available 24 hours a day, seven days a week, 365 days a year. They handle more than 18,000 inbound calls and more than 28,000 outbound calls per month. Remote diagnostics alert drivers to current mechanical issues as well as remind them of routine maintenance checks. In emergencies, agents spring into action, obtaining fleet information and pinpointing the trucks’ geographic locations and proximity to dealers. The new technology is exciting, White says, adding that he believes the detailed communication between the truck and the Volvo software represents a major step for the entire trucking industry. Record keeping and work status updates are easier, too, thanks to the email tracking system, which notes every incident, from the moment the truck has trouble to the moment it is back on the road. As Volvo expands its services, AMX is growing, too, and White expects that trend to continue. A big factor in their success, he says, is the partnership AMX shares with Volvo and Volvo dealer Mickey Daughtry at Action Truck Center in Dothan, Ala. Assignments: The dry van carrier specializes in moving freight between distribution centers for Fortune 500 companies. The average haul is 900 miles. Alabama, Alabama Motor Express, content marketing, Randall-Reilly, trucking industry, Volvo. Bookmark.